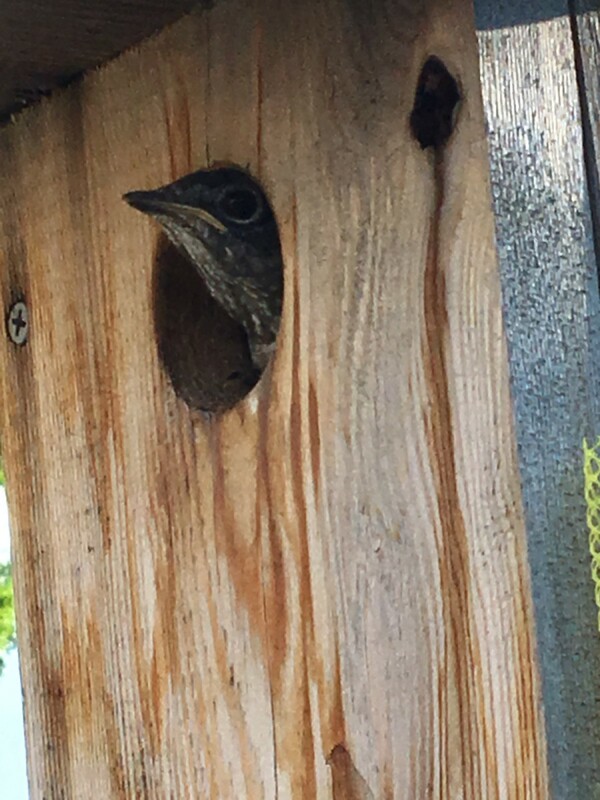 This little guy didn't know that he wasn't supposed to be peaking out of the nest when mom and dad weren't there. The mom and dad were up on my roof, supervising and chattering, while I snapped this photo of their little one. How cute! That new baby "blue" hehe looking out into the World. what he's thinking. Probably wonders where mom is. So precious. How cute! The new baby "blue" hehe looking out into the World. what he's thinking. Probably wonders where everybody is. I'm curious, were there more baby birds, or do they only have one? I don't know anything really about Bluebirds, except that they're sure pretty.